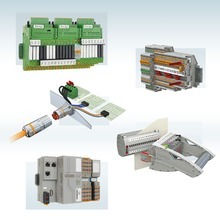 Highlights 2014 is a good example of how Phoenix Contact develops technologically cutting-edge solutions for you, with a comprehensive understanding of your application. Below are some of their new products at a glance. There are plenty more to see in the new Highlights 2014. From the Designline series, these attractive industrial PCs are narrow, feature IP65 protection and have multi-touch capability. They can be installed very easily directly onto the machine so are always close to the action. Design your own easy-maintenance, custom operating concepts with Designline IPCs – as the calling card for your system. 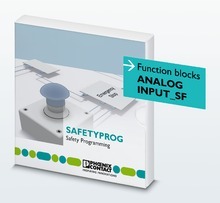 With the Safe AI solution package, you do not require any safety-related analog I/O modules for your safety application. TÜV-certified software is used to process safety-related analog values. Safety functions up to SIL 3 and PL e can be implemented by doing this and the consultation service provided by Phoenix Contact experts completes the package. 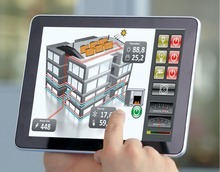 Visu+ visualization app from Phoenix Contact allows you to design flexible operating and monitoring concepts. You can access your system at any time and from any location using your smartphone or tablet. The Visu+ mobile app is the flexible addition to the Visu+ visualization software and the Visu+ web server required for the app is already pre-installed in numerous devices such as their touch panels. Simply extend Industrial PCs with Visu+ Web license in order to use Visu+ mobile in connection with Visu+. Up to 100 clients with a touch panel or industrial PC can be operated in the maximum configuration. With PLUGTRAB PT-IQ-Ex, it is possible for the first time to install an intelligent surge protection system with multi-stage signaling and remote signaling directly in Ex zone 2. This means that you can always know what is going on in intrinsically safe areas. PLUGTRAB PT-IQ is a range of intelligent surge protective devices with multi-stage signaling and remote signaling. The product range has been extended with a variety of voltage and circuit versions in order to provide the right surge protection for every application. A large number of sensors and actuators are monitored and controlled in applications for measurement and control technology. A failure due to surge voltages can have devastating effects. Phoenix surge protective devices offer an ideal solution and help to avoid system failures for all applications. Phoenix Contact have bought out a new catalogue titled – HIGHLIGHTS 2014 – Innovations for your success. Their mission is to create progress with innovative and inspiring solutions. Highlights 2014 is a good example of how Phoenix Contact develops technologically cutting-edge solutions for you, with a comprehensive understanding of your application, and with a wide range of technological expertise. Visit their website to find out more about the products in this year’s Highlights 2014 or give us a call.